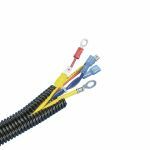 Conduit can be used as an electrical harness component alone or in conjunctions with adaptors and moulded parts for a totally integrated harness system. HCTE conduit is suitable for military and aerospace applications. Note: Order a conduit size that will ensure a "fill factor" of 70% is not exceeded. Solid grommet edging (use one straight edges only) .099in thickness polyethylene natural. Slotted grommet edging .144in thickness polyethylene natural. Corrugated loom tubing solid wall .38in (9.7mm) x 100&ApplyFunction; polyethylene black. 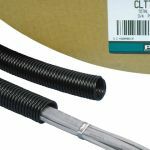 Spiral Wrap offers abrasion protection for wires cables hoses and tubing .38in (9.7mm) x 100&ApplyFunction; weather resistant nylon 6.6 black. Solid grommet edging with adhesive lined (use one straight edges only) .062in thickness polyethylene natural. Slotted grommet edging .036in thickness polyethylene natural. Spiral Wrap offers abrasion protection for wires cables hoses and tubing .62in (15.8mm) x 100&ApplyFunction; flame retardant polyethylene natural. Slotted grommet edging with adhesive lined .144in thickness weather resistant polyethylene black. Slotted grommet edging .062in thickness polyethylene natural. Military standard grommet edging strip .085in thickness nylon 6.6 natural. Solid grommet edging (use one straight edges only) .099in thickness weather resistant polyethylene black. Corrugated loom tubing slit wall .35in (8.9mm) x 100&ApplyFunction; (30.5m) polyethylene black. Spiral wrap offers abrasion protection for wires cables hoses and tubing .62in (15.8mm) x 100&ApplyFunction; polyethylene natural. Corrugated loom tubing slit wall 1in (25.4mm) x 100&ApplyFunction; (30.5m) polyethylene black. Slotted grommet edging .099in thickness weather resistant polyethylene black. Military standard grommet edging strip .380in thickness nylon 6.6 natural. Spiral Wrap offers abrasion protection for wires cables hoses and tubing .75in (19.1mm) x 100&ApplyFunction; flame retardant polyethylene natural. Spiral wrap offers abrasion protection for wires cables hoses and tubing .75in (19.1mm) x 100&ApplyFunction; polyethylene natural. Slotted grommet edging with adhesive lined .062in thickness weather resistant polyethylene black. Corrugated loom tubing slit wall .75in (19.1mm) x 100&ApplyFunction; (30.5m) polyethylene black. Corrugated loom tubing slit wall 1.25in (31.8mm) x 50&ApplyFunction; (15.2m) polyethylene black. Corrugated loom tubing slit wall .75in (19.1mm) x 100&ApplyFunction; (30.5m) heat stabilized black nylon 6. 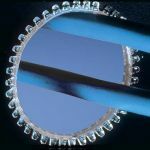 Spiral Wrap offers abrasion protection for wires cables hoses and tubing .38in (9.7mm) outside diameter TFE natural. 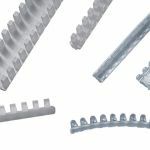 Solid grommet edging (use one straight edges only) .062in thickness polyethylene natural. Slotted grommet edging with adhesive lined .062in thickness polyethylene natural. Military standard grommet edging strip .128in thickness nylon 6.6 natural. Military standard grommet edging strip .192in thickness nylon 6.6 natural. Spiral Wrap offers abrasion protection for wires cables hoses and tubing 62in (15.8mm) x 100&ApplyFunction; weather resistant nylon 6.6 black. 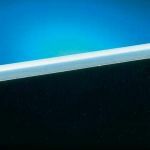 Solid grommet edging with adhesive lined (use one straight edges only) .144in thickness weather resistant polyethylene black. Slotted grommet edging .099in thickness flame retardant polyethylene natural. Corrugated loom tubing solid wall .50in (12.7mm) x 100&ApplyFunction; heat stabilized nylon 6 black. Slotted grommet edging with adhesive lined .144in thickness polyethylene natural. Solid grommet edging with adhesive lined (use one straight edges only) .099in thickness weather resistant polyethylene black. Corrugated loom tubing slit wall .38in (9.7mm) x 100&ApplyFunction; (30.5m) polyethylene black. Slotted grommet edging with adhesive lined .099in thickness polyethylene natural. Slotted grommet edging .099in thickness polyethylene natural. 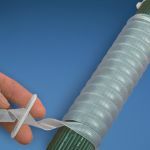 Spiral wrap offers abrasion protection for wires cables hoses and tubing 1.00in (25.4mm) x 100&ApplyFunction; polyethylene natural. Spiral Wrap offers abrasion protection for wires cables hoses and tubing .62in (15.8mm) x 100&ApplyFunction; nylon 6.6 natural. Slotted grommet edging with adhesive lined .099in thickness weather resistant polyethylene black. Corrugated loom tubing slit wall .62in (15.8mm) x 100&ApplyFunction; (30.5m) heat stabilized black nylon 6. Corrugated loom tubing slit wall .35in (8.9mm) x 100&ApplyFunction; (30.5m) heat stabilized black nylon 6. 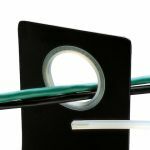 Solid grommet edging with adhesive lined (use one straight edges only) .062in thickness weather resistant polyethylene black. Corrugated loom tubing slit wall 1.25in (31.8mm) x 50&ApplyFunction; (15.2m) heat stabilized black nylon 6. Slotted grommet edging .142in thickness nylon 6 natural. Slotted grommet edging .063in thickness nylon 6 natural. Military standard grommet edging strip .128in thickness flame retardant nylon 6.6 natural. Military standard grommet edging strip .052in thickness flame retardant nylon 6.6 natural. 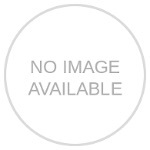 Military standard grommet edging strip .052in thickness nylon 6.6 natural. Solid grommet edging (use one straight edges only) .189in thickness weather resistant polyethylene black. Military standard grommet edging strip .255in thickness nylon 6.6 natural. Slotted grommet edging .062in thickness flame retardant polyethylene natural. Spiral Wrap offers abrasion protection for wires cables hoses and tubing .12in (3.2mm) x 100&ApplyFunction; flame retardant polyethylene natural. Solid grommet edging (use one straight edges only) .062in thickness weather resistant polyethylene black. Solid grommet edging (use one straight edges only) .144in thickness weather resistant polyethylene black. 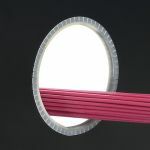 Solid grommet edging (use one straight edges only) .099in thickness flame retardant polyethylene natural. 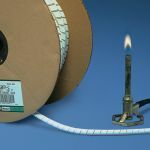 Spiral Wrap offers abrasion protection for wires cables hoses and tubing .50in (12.7mm) x 100&ApplyFunction; flame retardant polyethylene natural standard package. Spiral Wrap offers abrasion protection for wires cables hoses and tubing .50in (12.7mm) x 100&ApplyFunction; flame retardant polyethylene black. Spiral wrap offers abrasion protection for wires cables hoses and tubing .75in (19.1mm) x 100&ApplyFunction; weather resistant polyethylene black. Slotted grommet edging .079in thickness nylon 6 natural.